On the other hand, we see Goku and Vegeta laying down on some beds while Esca is trying to heal them. Then we see Vegeta and Goku wake up but they are still very weak. Vegeta asks how long were they asleep and the Namekians tell them that both of them were out for 3 whole days. In the meantime, Moro has already gathered 3 Dragon Balls and destroyed 3 villages. 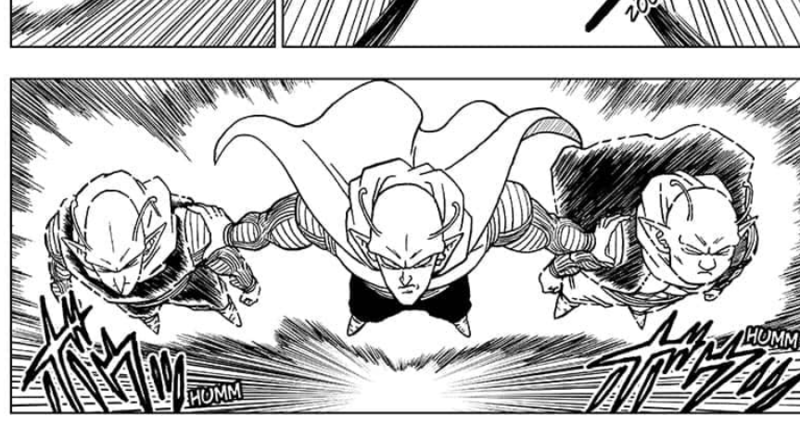 The next thing in this Dragon Ball Super Chapter 46 is really amazing. The fighter is coming at full speed and is ready to attack Moro but Moro doesn’t even care about him. It seems like he’s not strong enough but he might put up a good fight. 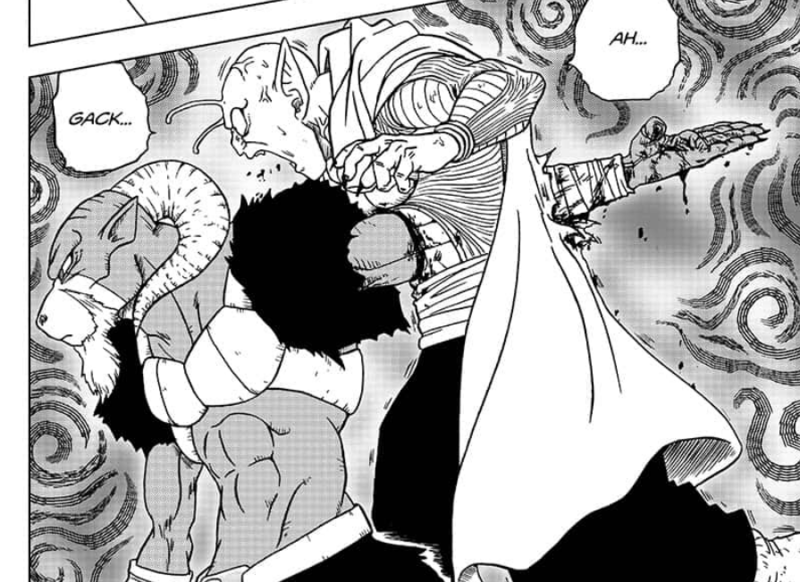 We were expecting some strong Namekian moves but Moro killed him with just one hand. ONE HAND. I mean he didn’t even try much. 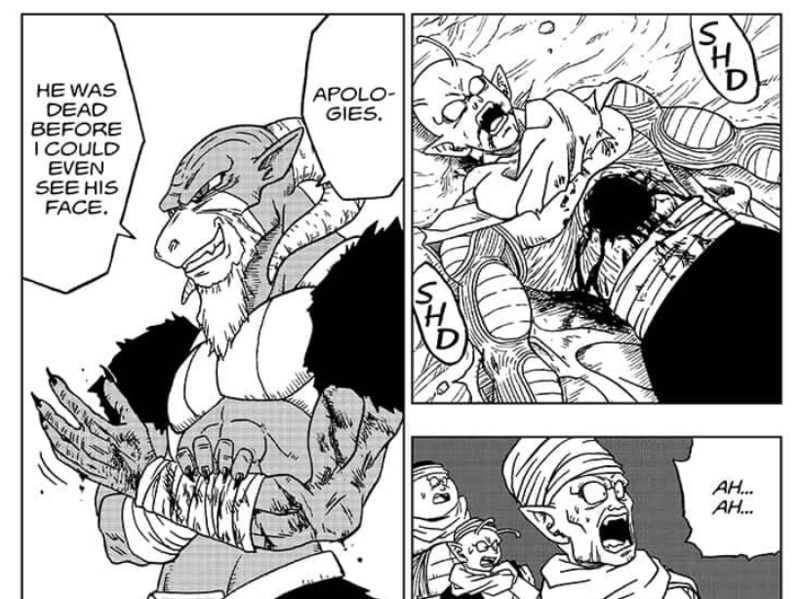 He just raised his arm and the Namekian died on the spot. Their final hope was crushed so easily. The last few panels were really amazing. Also, Moro is so good with his words. He says, “Apologies. 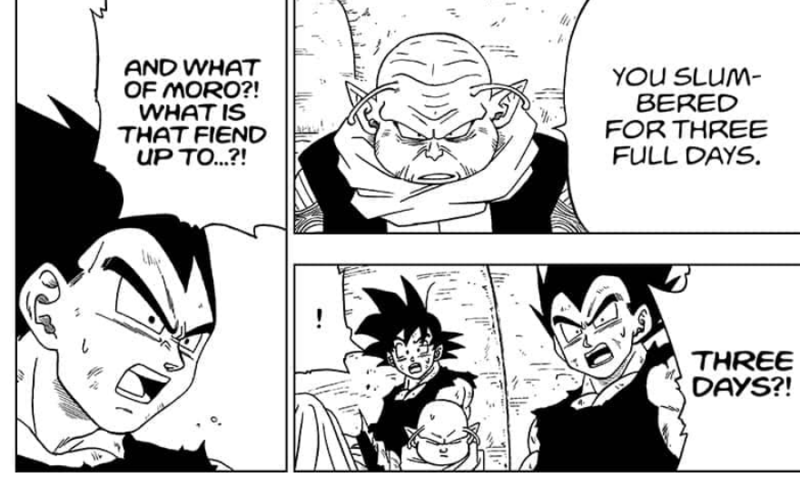 He was dead before I could even see his face.” I think Moro is going to become the #1 villain of the whole Dragon Ball franchise. Well, that was it. The Dragon Ball Super Chapter 46 English ended right there and I think it’s one of the best chapters of Dragon Ball Super. The art and story were really good. What do you guys think? Let me know your thoughts down below! 2 Dragon Ball Z Movies Are Coming Back To The Theaters! 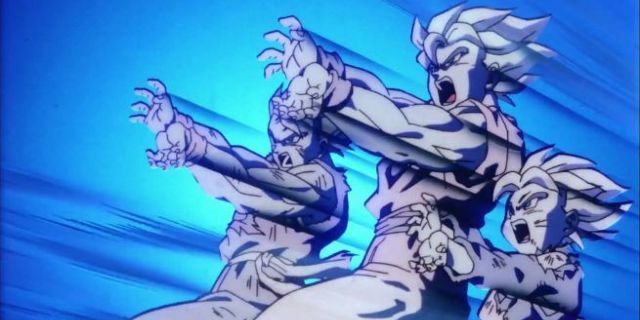 Dragon Ball Super: Broly Breaks Dragon Ball’s Japanese Box Office Record!